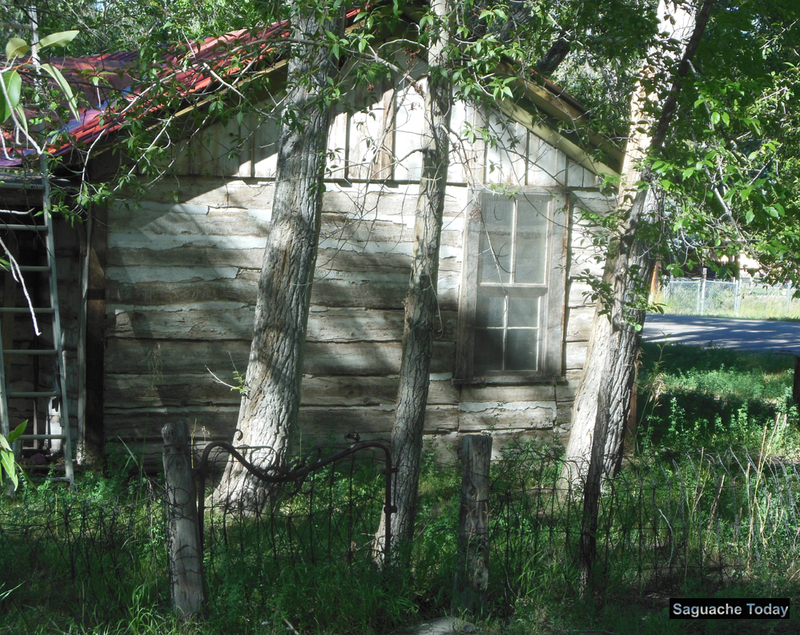 Do you own a rental property in Saguache Today? Or maybe you are a property manager and are looking for more information about the eviction process? 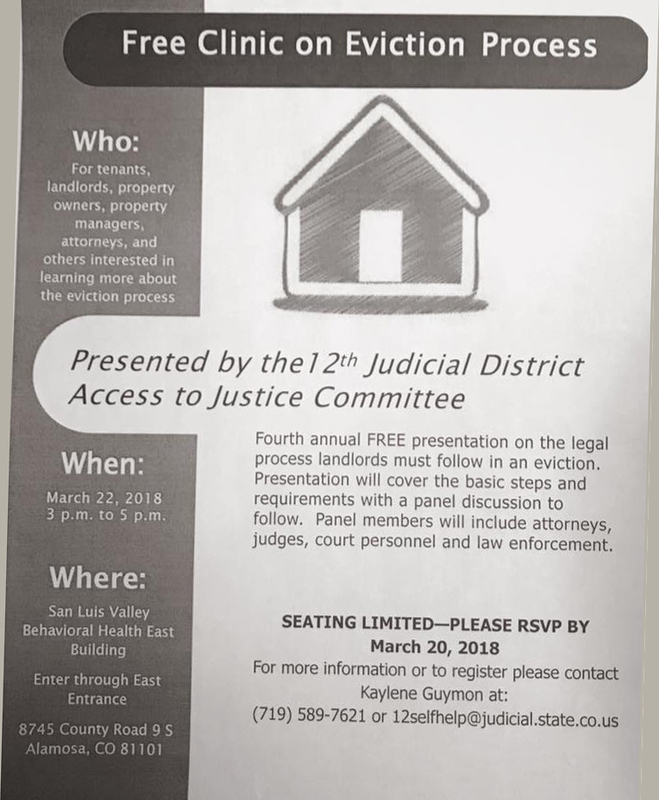 This is the fourth annual free presentation on the legal process landlords must follow in an eviction. The presentation will cover the basic steps and requirements and also include a panel discussion with attorneys, judges, court personnel and law enforcement. This is a great opportunity to know your rights and get any questions answered – for FREE! This entry was posted in Uncategorized and tagged Eviction Clinic for Landlords, Saguache, Saguache Colorado, Saguache County, Saguache news, Saguache San Luis Valley Colorado, Saguache Today, Saguache traffic, Saguache weather, SaguacheToday.com, San Luis Valley Tourism Association, San Luis Valley Tourism Association Annual Conference. Bookmark the permalink.